For six years, filmmaker Greg Whiteley followed Mitt Romney around as he tried, and failed, repeatedly, to become president of the United States. The product of all that access, Mitt, won’t debut on Netflix until January 24, but the trailer was released this morning. 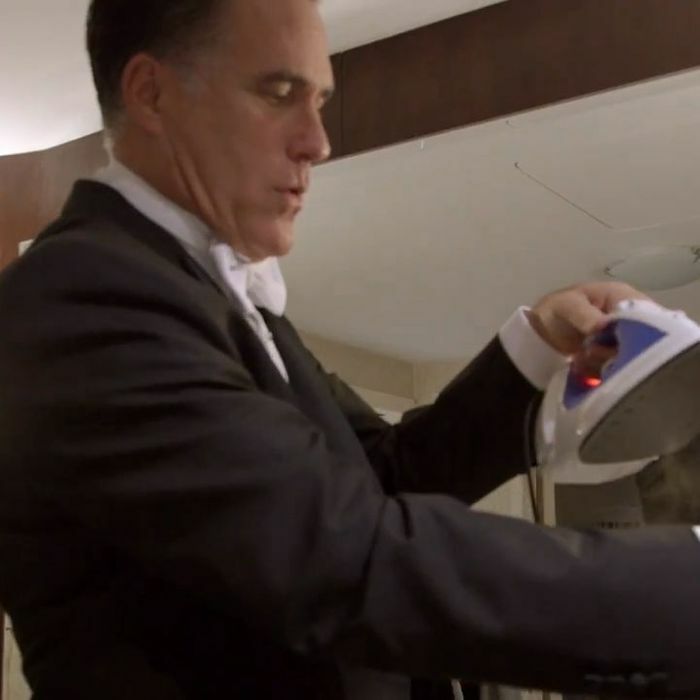 And while it appears the documentary is packed with personal, private, introspective moments, so far the best part is when Romney tries to iron his suit sleeve while it’s on his arm. “Ouch,” says Mitt — indifferently, in monotone, like a robot pretending to have nerve endings.